At Toothology, we provide state-of-the-art restorative dental services. From damaged to missing teeth, our skilled team of dental professionals can restore your smile’s healthy, functionality, and appearance. * Regular Value $360. Valid in absence of active periodontal disease. ** Valid in absence of active periodontal disease. Savings of over $2,500. First, our team will assess whether or not a dental crown is the right restorative treatment for you. 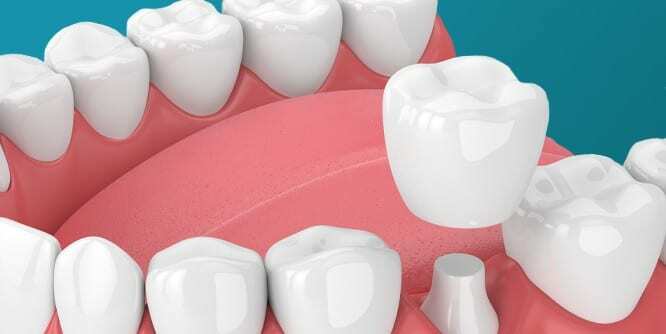 If you’re a good candidate, we’ll remove a portion of your existing tooth to make room for the crown. Then, we’ll take impressions of your tooth and send the impressions to an off-site tooth lab where they’ll fabricate your custom tooth crown. Once it’s complete, we will bond the crown to your tooth and check the fit. 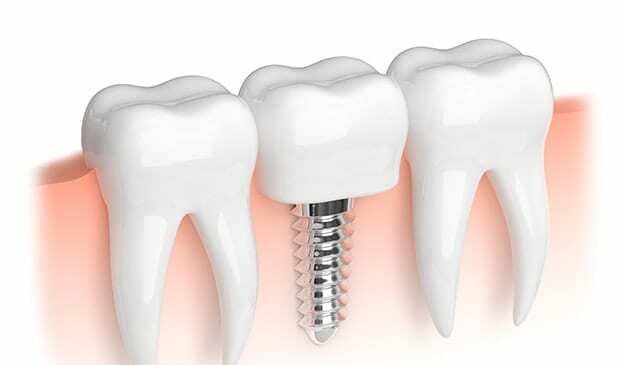 In addition to correcting damaged or decayed teeth, dental crowns can also be used for single tooth replacements with dental implants. Dental implants are small posts that are placed into your jawbone. They mimic a tooth’s root and create a foundation for a tooth restoration to attach to on top. If you’re missing one or a few of your teeth, we can place implants and create beautiful dental crowns to fill in the gaps in your smile. The price of dental crowns varies based on each patients unique smile needs, oral health, and lifestyle. After your consultation, we’ll be able to provide you with an accurate cost estimate based on your specific situation. Then, our team will walk you through your financial options to help you fit a newly restored smile into your budget. Ready to restore your smile? Schedule Your Dental Crowns Consultation!